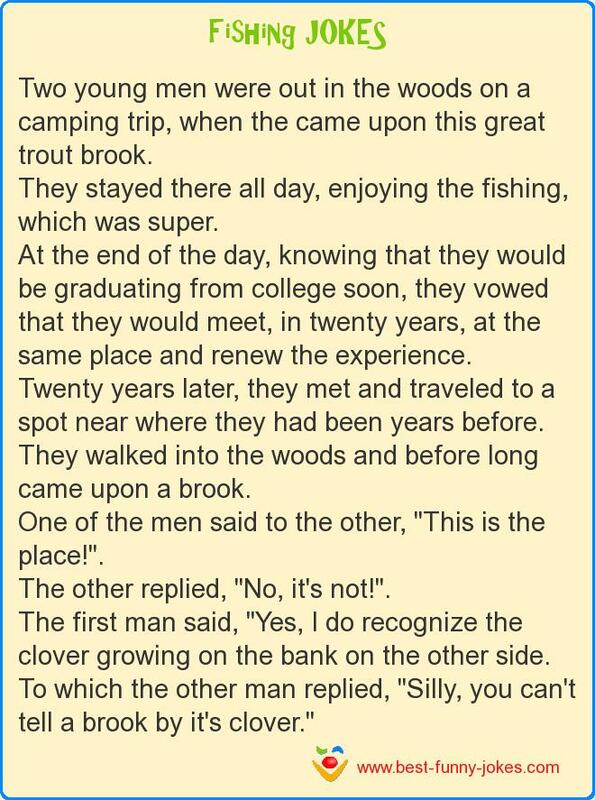 Two young men were out in the woods on a camping trip, when the came upon this great trout brook. They stayed there all day, enjoying the fishing, which was super. Twenty years later, they met and traveled to a spot near where they had been years before. They walked into the woods and before long came upon a brook. One of the men said to the other, "This is the place! ".